Can My Adopted Child Change His Social Security Number? Adopting a child requires an awful lot of paperwork. There’s the paperwork just to get the process started, which includes agency applications, home study paperwork, physician’s forms, and various other pieces of paper all stacked up on your kitchen table, taunting you every time you walk by—or maybe that was just me! Once you adopt, you may think the paperwork is behind you, but oh no, there’s more! There is the adoption decree, post-placement paperwork, application for finalization, and finally, the application for a social security number and birth certificate for your newly adopted child. In general, to apply for a social security number you will need your adoption decree or the child’s birth certificate along with other paperwork that “proves” you are the parent of this child, such as medical records. Every social security office has a different level of proficiency when it comes to dealing with adoption. Generally your best bet, before sitting and waiting at the office for what is usually an absurd amount of time, is to call ahead to your nearest social security office and ask who on their staff is most familiar with creating a new social security number for an adopted child. Some offices will allow you to make appointments, bypassing the interminable wait. Generally, both parents need to be present unless you and your spouse have power of attorney. You’ll need to bring multiple forms of ID; usually a driver’s license and your social security card will suffice, but confirm with your local office what they will need from you ahead of time. 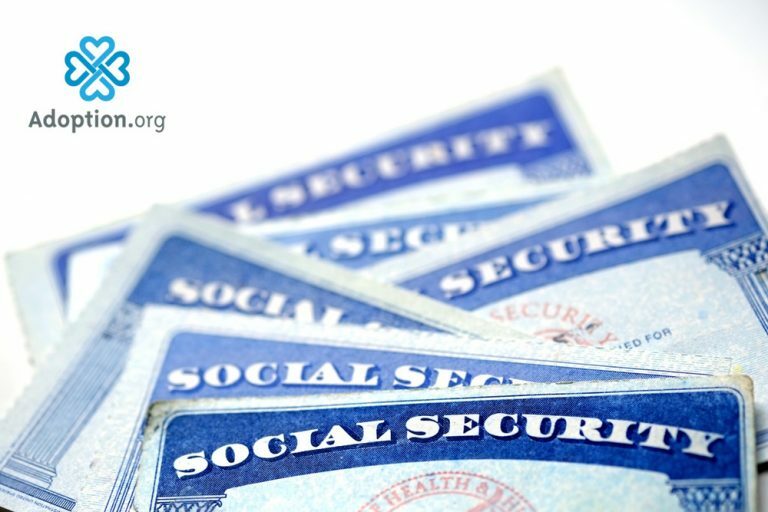 There are different processes for applying for a new social security number depending on whether or not your child had a previous number. If you adopted your child as a newborn, it is possible no number was created for them. If you are adopting an older child, you will need to have their old number invalidated and a new number issued. If you’re not sure whether or not there was a number created, the social security worker should be able to look in their system to see, but when in doubt, a new number is always a better plan. Occasionally a social security worker will balk at the concept of creating a new number for your child. This generally is due to ignorance rather than malice. Worst-case scenario, if you cannot find a social security worker at your local office who seems “adoption savvy” and willing to issue a new number, bringing a letter from your adoption lawyer explaining the necessity of a new number to your appointment tends to stir them into action. If this isn’t possible, or if they still give you a hard time about creating a new number, ask to speak to a supervisor or escalate the issue to the regional office, but make sure before you go that whoever you are meeting with is knowledgable about creating a new number so as not to waste your time. If your child was issued a number previously, it’s hard for you to know just who has that number and what they might have done with it. This is one of those cases where it is better safe than sorry since your child’s credit and work history will depend on their social security number. Julianna Mendelsohn lives in sunny South Florida where, odds are, it is hot enough right now that she’s sweating just a little, no matter what she’s doing. She is the brains, brawn, blood, sweat, and tears behind The Adoption Mentor and is thrilled to be able to help others build their families through adoption. She is a former elementary school teacher, current MS in school counseling student, Sephora junkie, and the momma via domestic adoption to one lovely daughter.